Elena Rudina lives in the impoverished Russian countryside. Her father has been dead for years. One of her brothers has been conscripted into the Tsar's army, the other taken as a servant in the house of the local landowner. Her mother is dying, slowly, in their tiny cabin. And there is no food. But then a train arrives in the village, a train carrying untold wealth, a cornucopia of food, and a noble family destined to visit the Tsar in Saint Petersburg — a family that includes Ekaterina, a girl of Elena’s age. When the two girls' lives collide, an adventure is set in motion, an escapade that includes mistaken identity, a monk locked in a tower, a prince traveling incognito, and — in a starring role only Gregory Maguire could have conjured — Baba Yaga, witch of Russian folklore, in her ambulatory house perched on chicken legs. Gregory Maguire of “Wicked” fame will sign his new book for children, Egg & Spoon. Two girls switch places on their way to see the czar in Maguire’s mash-up of myth, folk tale and history. A funny, feisty, and scary Baba Yaga joins in the adventure! Sunday, September 14 at 3pm - Gregory Maguire presents "Egg and Spoon"
He's back with a new novel for young (and young at heart)! -- We welcome Gregory Maguire to the Bookshop with "Egg and Spoon." BookEnds BookGroup! Sunday, August 4 @ 3 pm Wicked by Gregory Macguire When Dorothy triumphed over the Wicked Witch of the West in L. Frank Baum's classic tale, we heard only her side of the story. But what about her arch-nemesis, the mysterious witch? Where did she come from? How did she become so Wicked? And what is the true nature of evil? BookEnds BookGroup usually meets every last Sunday of the month at 3 pm in The Gallery. BookGroup reads are 20% off prior to the event to BookGroup participants. Free and all are welcome. Feb. 20th: we will be discussing Wicked: The Life and Times of the Wicked Witch of the West by Gregory Maguire. Wicked is now a hit play on Broadway, and since then has taken on a new life. Gregory Maguire on tour for Out of Oz. Gregory Maguire signs Out of Oz. Gregory Maguire discusses Out of Oz. Gregory Maguire reads from The Next Queen of Heaven. Gregory Maguire's book Hiddensee: A Tale of the Once and Future Nutcracker was available from LibraryThing Early Reviewers. Gregory Maguire's book After Alice was available from LibraryThing Early Reviewers. Gregory Maguire's book Matchless was available from LibraryThing Early Reviewers. 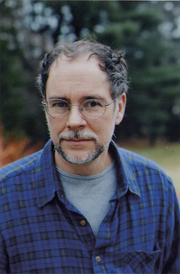 Gregory Maguire is currently considered a "single author." If one or more works are by a distinct, homonymous authors, go ahead and split the author. Gregory Maguire is composed of 13 names. You can examine and separate out names.